Saint Beatus Caves in Interlaken, Switzerland is one of the most popular tourist attractions of the region. The caves have one of the most impressive entrance amongst the caves around the World. Besides the legend of St. Beatus, its major attraction is its idyllic surroundings with lush green plants and streaming waterfalls - a treat for the eyes of the nature lovers. The cave system, which lies beneath the town of Beatenberg near Interlaken, overlooks the Lake Thun and penetrates deep into the Niederhorn Alpine massif. 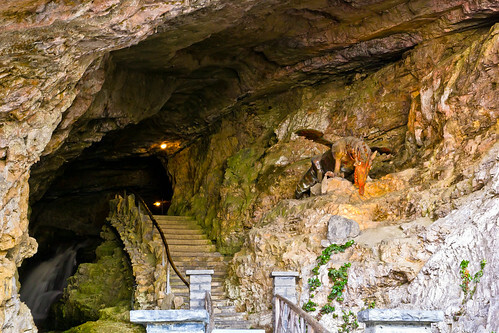 As per the legend, Saint Beatus, a 6th century Scottish or Irish monk, defeated a dragon who lived in the caves and established a hermitage in the caves. Soon it became a place of pilgrimage. The chapel however was closed and cave entrance walled up in 1528, when Bern adopted the Protestant Reformation. 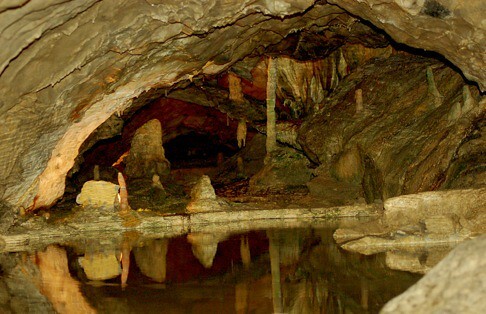 At some later date the caves were opened again and about one km area inside it was lighted to allow the tourists to explore it and see the well lit stalagmites, stalactites and underground lakes. Besides the grave of St. Beatus and a replica of his cell, the monastery site now also houses a restaurant and gift shop for the convenience of tourists. 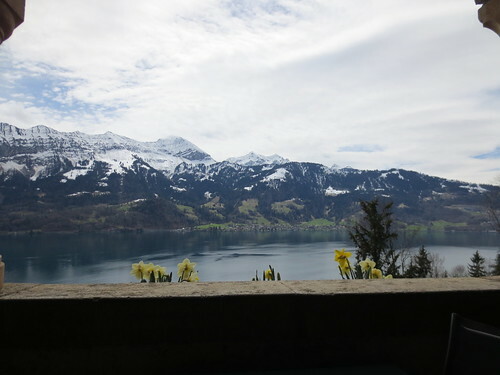 Stunning View of Lake Thun from the entrance to the caves.